Stickney Water Reclamation Plant (SWRP) is the largest wastewater treatment facility in the world. Serving over 2.3 million people in a 260 square mile area including the central part of Chicago and 46 suburban communities the WRP is home to nearly 400 employees, who oversee the treatment of enough water to fill two Olympic size swimming pools every minute. As part of a renovation that modernized the plant, Crystal Structures installed 6 skylights with verticals. The skylights sit atop vertical windows which then extend the skylight upward. Sometimes referred to as roof lanterns or clerestories, these are basically regular windows well above the sight line used to for an additional lighting surface. The skylights measure approximately 60′ x 40′. The vertical windows are 18″ tall x 36″ across. With the skylights it’s easy to see what is happening with the water in the treatment area below. The natural light is more comfortable for visitors and staff causing less eye strain when looking across the water. Sun also provides a purifying quality to the water so the natural light has some ability to assist in the purification process. 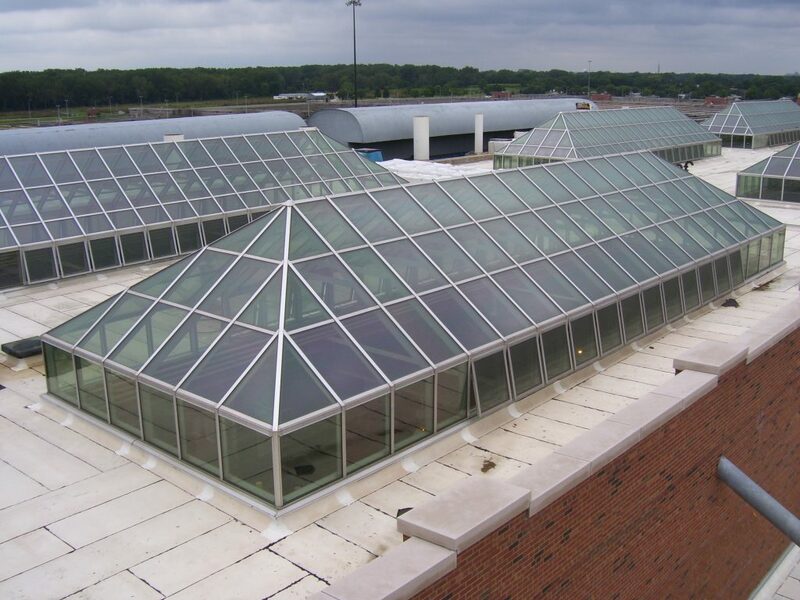 While we’ve manufactured these types of skylights with verticals for other purposes, like the Bay City Hall renovation and the skylight atop the Chappy mall, the industrial applications like this one are unique. Read more about our skylight systems here. Next Post: What makes your garden grow?